Kindergarten teacher Christine Milders worries that forced spending cuts could increase her class size and affect her students. 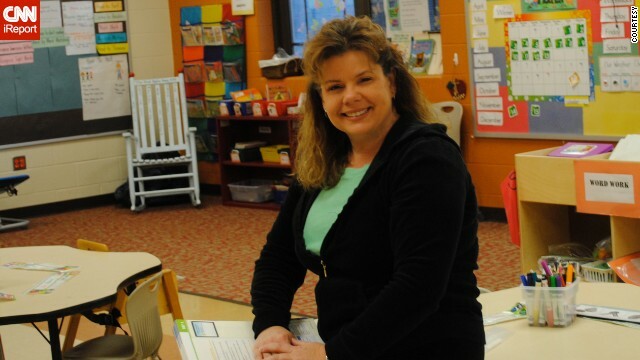 (CNN) - Inside her Oxford, Ohio, kindergarten classroom, Christine Milders has 24 cubbies, 24 tables and 24 seats. It's a perfect fit for her 24 little students, no more. But come next fall, she expects that number will grow to 30. That's when forced federal spending cuts, also known as the sequester, will kick in and start chipping away at education funding. "Where will I put six more students?" Milders asked. "My young learners come to my classroom with little or no school experience. I not only need to meet their academic needs, but their social and emotional needs as well." The government is set to cut $85 billion through the end of the fiscal year, September 30. Of that money, $2.5 billion will be coming out of the Department of Education's $70 billion budget. Uncertainties surround how these large cuts will affect schools, because the decisions will be made on the state and local levels. But with budget cuts looming, many teachers like Milders are wondering what's left to cut. Milders, who has taught kindergarten for 17 years, worries that more cuts to education will not only affect her students' ability to learn and grow, but also fears she will eventually be replaced by a younger and cheaper teacher, as she put it. "It happens often," she said.